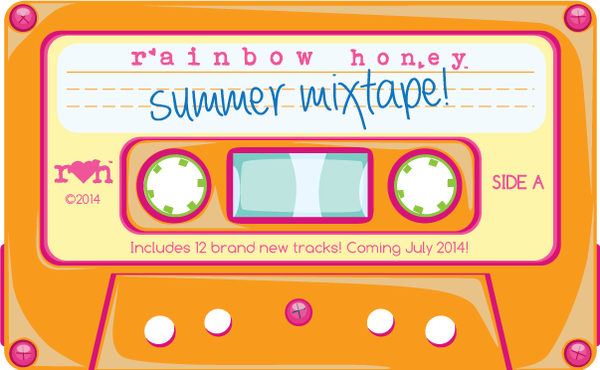 Rainbow Honey is releasing a new collection called Summer Mixtape. Twelve cremes, shimmers and glitters make up this collection. I have three of them to share with you today. These gorgeous colors will kick your summer manicures into high gear with color, shimmer and sheer summerific glam. This collection will be available July 18, 2014 at Rainbow Honey. And there's a 20 percent discount code that is valid until August 31, 2014. For the 20 percent discount use code MIXTAPE20 for your shopping fix. Let's get to the amazing polishes. 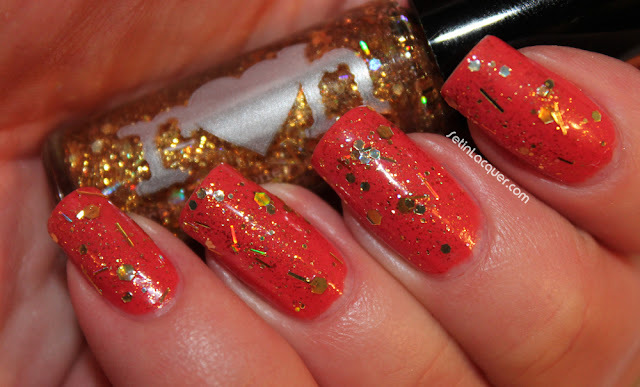 Best Friend is a glitter topcoat that is chocked full of multi-shaped neon glitter. 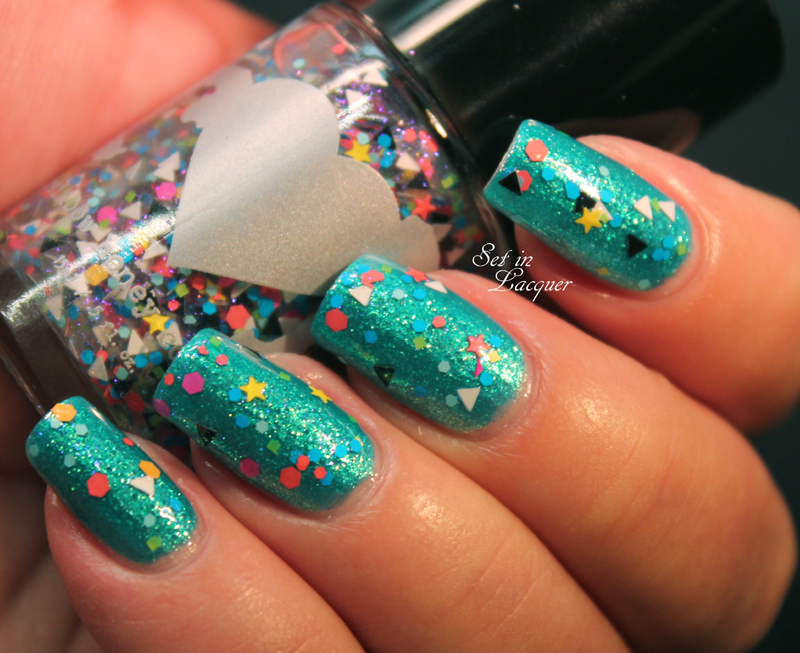 Circle, star, and miscellaneous bright glitter pieces will adorn your nails with ease. 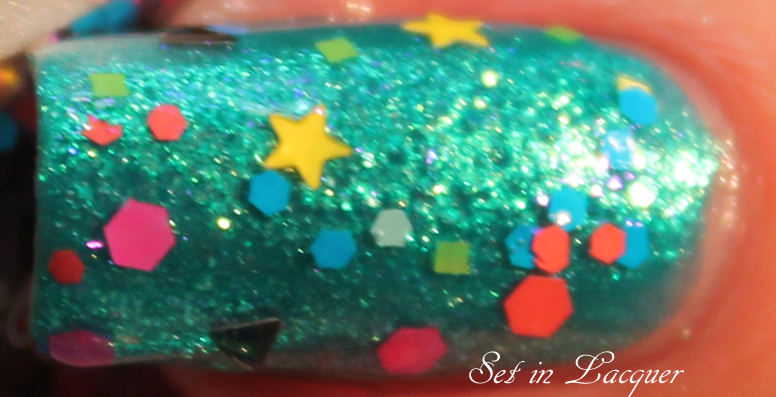 There wasn't any fishing for glitter and the pieces applied evenly. I have it on here over Waves. Stolen Dance is a pale kiwi green that has a subtle shimmer of gold and violet. I tried to capture the shimmer, but it is definitely camera shy. This pale shade will look amazing next to your summer, sun-kissed skin. This is three coats with a top coat. Waves is an amazing, sparkling, bright turquoise polish that's infused with glass flecks. This is my favorite. It is almost indescribable. It definitely is reminiscent of sparkling tropical waters. The illusion is perfect. It some of these photos it looks textured, but it isn't - it is completely smooth. It is the glass flecks that create the watery look. This is two coats with a top coat. Of the three that I swatched, Waves is a definite "must-have." They are all nice, but Waves is astounding. Remember, the collection is available July 18, 2014 at RainbowHoney.com. And don't forget the 20 percent off code "MIXTAPE20." Follow Rainbow Honey on their Facebook page to keep up with new collections. 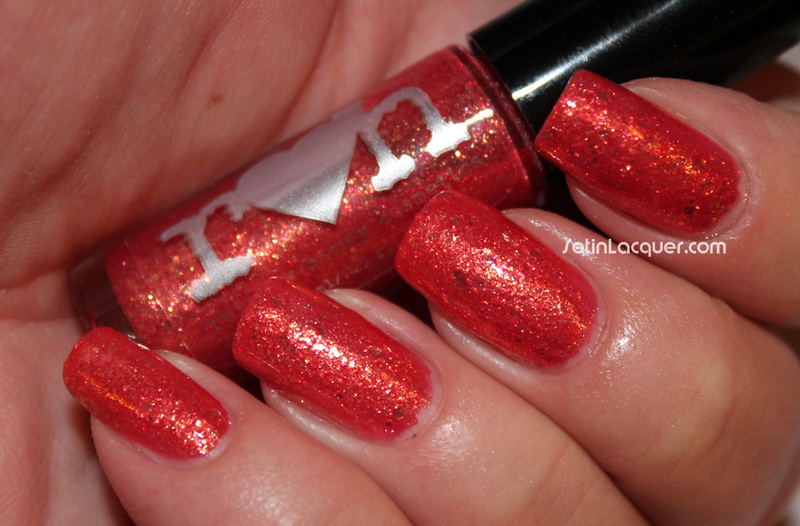 I received some lovely polishes from Rainbow Honey to review - the Robot Collection. A collection of metallic polishes with a black and white glitter polish to accent any look. This is a cute and futuristic collaboration between Rainbow Honey and illustrator Mary Winkler. To create the collection, Rainbow Honey's Chief Designer, Dee Maldonado, took inspiration from anime, video games, super cheesy B films and the work of Mary Winkler, illustrator, jewelry and textile designer. I have reviewed Rainbow Honey polishes before and I must say they listened to their customers. The formula is wonderful - it's easy to apply goes on the nail smooth and silky. Most of these polishes could be one coat polishes if you are careful. I love the simple, classy look to them. Normally I am not a metallic person as they come off looking more frosty than anything. These truly do come off as metallic. 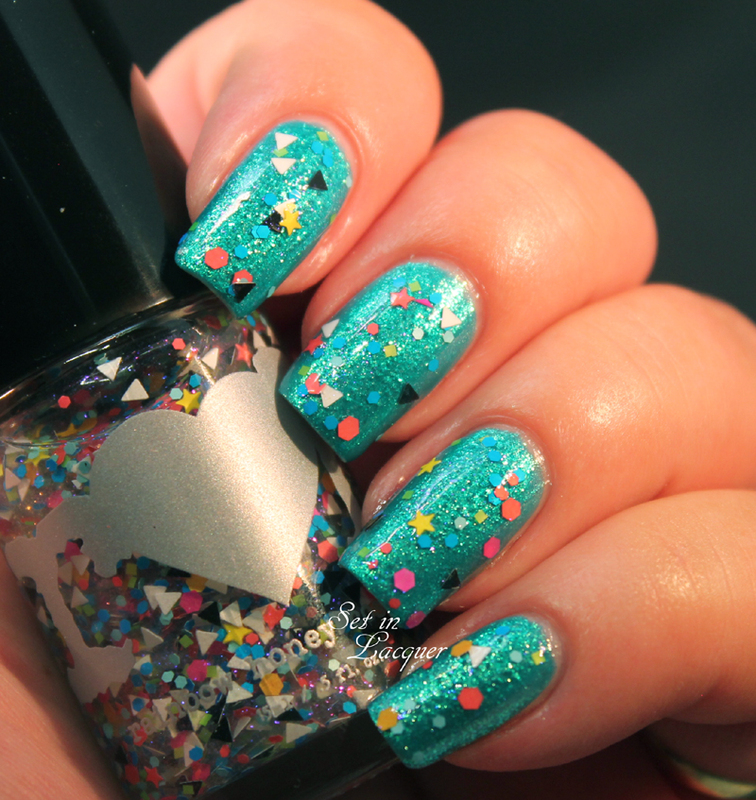 Bitty Love Bot - is a sparkling metallic aqua. It can also flash as a silver, dusty blue. 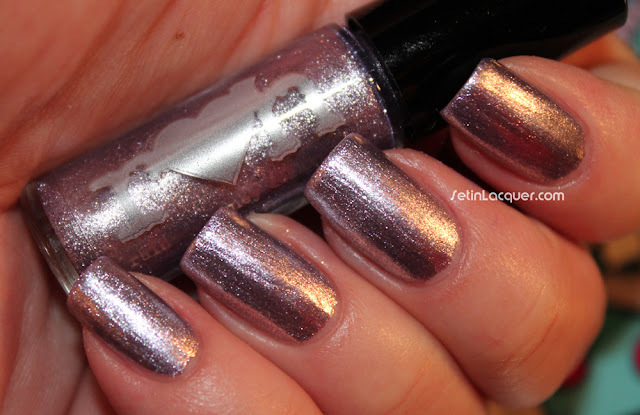 Femme Bot - is a sparkling metallic peony. This is one coat. It is a gorgeous dusty peony shade. Dusty Bot - is a sparkling metallic lavender. 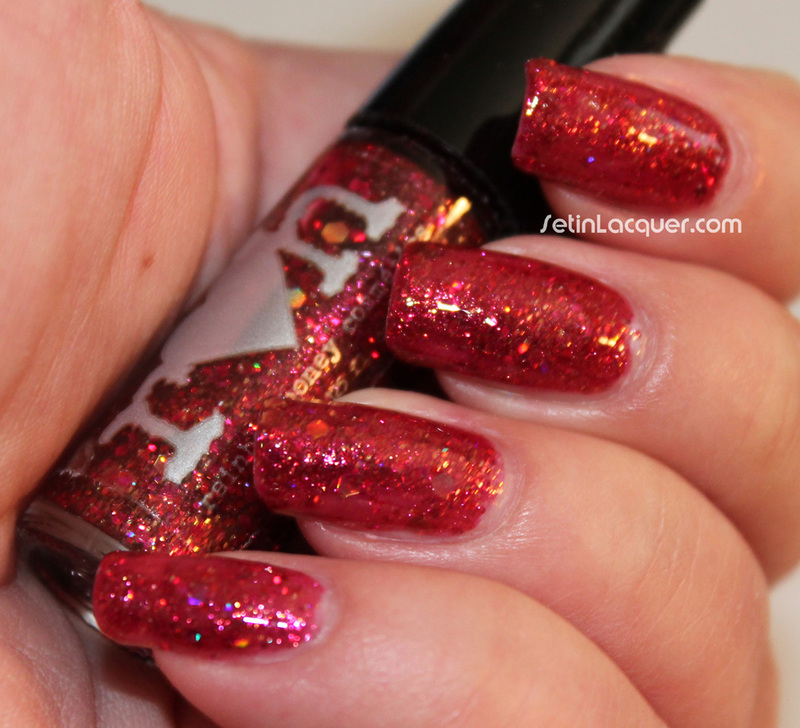 It is a gorgeous, classy shade that flashes in the light with metallic shimmer. Lucky Bot - is a sparkling metallic agave. This polish is a pale gold/green shade. Skyward Bot - is a sparkling metallic cerulean blue. This is one coat. It is a gorgeous steel blue that has an enormous amount of depth. 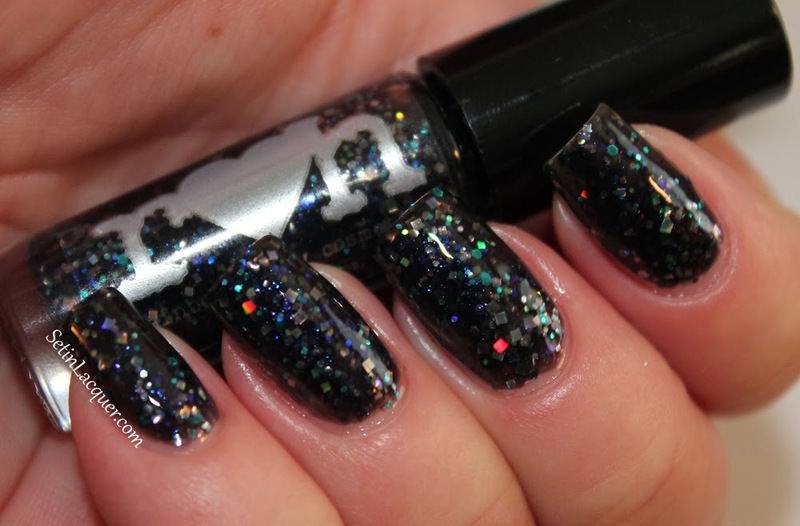 Yoshimi - A truly mod black and white combination of glitters sprinkled with a bit of iridescence. It applied wonderfully and the glitter spread evenly. This is one coat over Dusty Bot. Rainbow Honey polishes can be purchased on their website for $10 each or $50 for the entire set of six. Make sure to check out the other collections! I am usually not a glitter kind of girl. Don't get me wrong. I love micro-glitter, but the larger glitters have never been my thing. 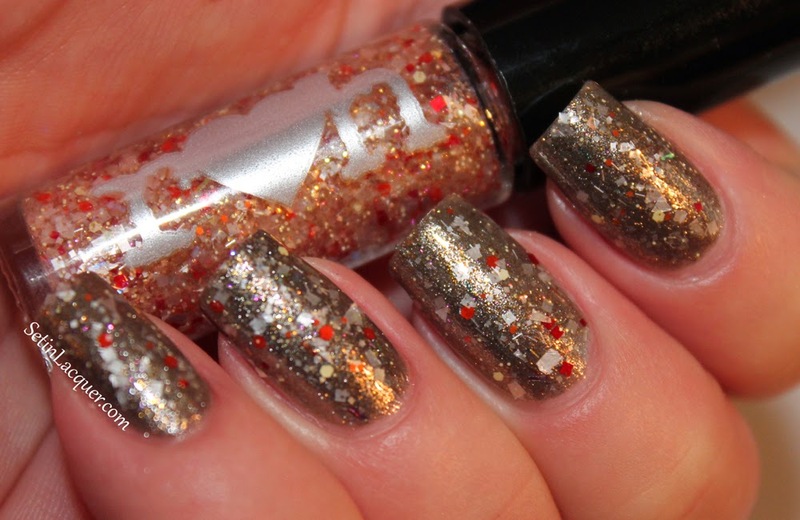 Rainbow Honey's Hanami isn't a large glitter but consists of varying sizes of glitter goodness. But even this would have been too much for me... before now. I am becoming converted by all the wonderful indie glitters out there. Maybe it's just the warming weather - or maybe I am just starting to like them more and more. Rainbow Honey's Hanami over an unknown brand of pink. Hanami is a perfect mix of shapes and sizes. 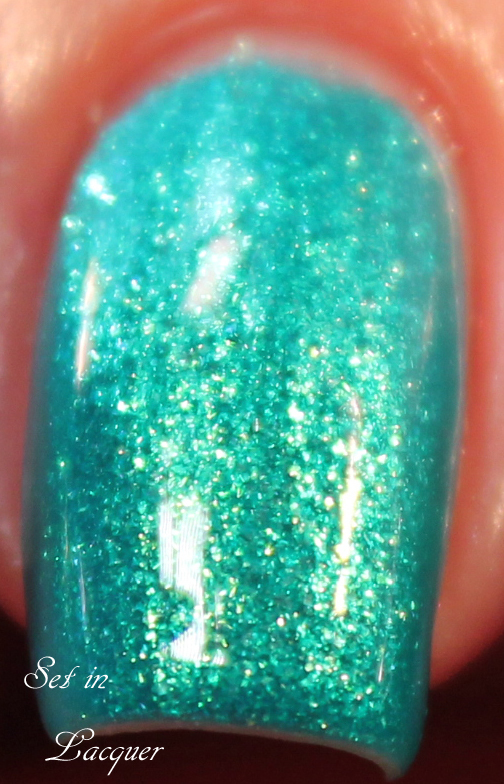 As I am writing this post and checking links I see a new polish by her called "Pinkie Promise." It is now a lemming! Anyway, back to my post about Hanami. It dries quickly and doesn't have a gritty finish. Granted, it's glitter so it is going to be somewhat gritty -- but it was easily smoothed by a coat of Seche Vite Fast Dry topcoat. Wyoming's dry weather and of course the acetone are doing a number on a cuticles so I am off to moisturize and condition them. What's your preference on glitter?